UPDATED!!! 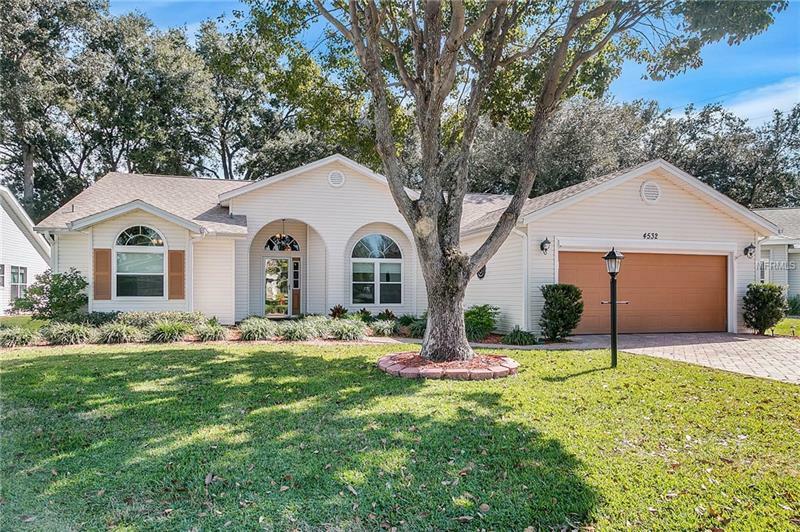 Golf course views from the heated and cooled Florida room are going to wow you!.Step out onto the brick paver patio enjoy the Florida sunshine. When you open the front door you will look beyond the living room to see the golf course thru large patio doors. This 2 bedroom plus den home has what you want. The kitchen and baths have had a high end makeover. Kitchen cabinetry includes a custom designed and made pantry, wine rack, crown moldings and stacks of drawers. Choice of granite counter tops brings the look together. The breakfast bay has sweeping views of the course. Split bedroom floor plan makes this perfect for the house guests you get in the winter. Garage is extra deep and has built in cabinetry. Pull down stairs in garage attic for extra storage. seller has added a whole house exhaust fan to expedite cooling. New energy efficient windows will also decrease heating and cooling expense.Sellers have taken care of this home and have made many updates. This home is in move in condition and ready for you to enjoy years of retirement. Enjoy life in the active 55 plus community. 36 holes of golf, on site restaurant, 3 amenity centers with heated pools, full time activity directors, pickle ball, softball tennis, boccee ball, shuffleboard, horseshoes, batting cage, and over 200 clubs and organizations to keep you active, all for $100 monthly association fee. Amenities Additional Fees: green fees and some clubs and organization extra charge.